It’s impossible to deny the importance and allure of content marketing in today’s business world. According to DemandMetric, content marketing costs 62% less than traditional marketing and it generates about 3 times as many leads. According to statistics from the 2017 Content Marketing Institute research, about 81% of their respondents conduct research before they bring a vendor in to discuss a project. According to the same research, 62% of respondents want content that speaks to their needs or pain points. Content marketing can also provide longevity for brand awareness efforts when compared to traditional marketing. 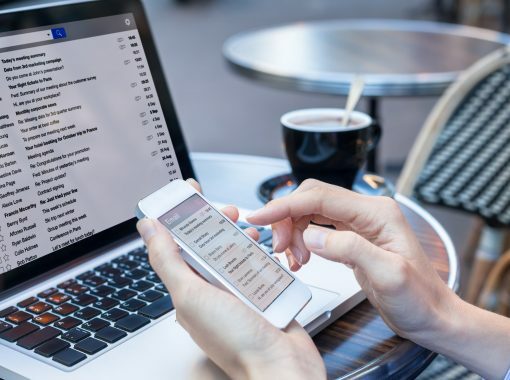 An article by Forbes dubbed content marketing as a long-term commitment, rather than a campaign (it is not designed to convert leads on the spot). 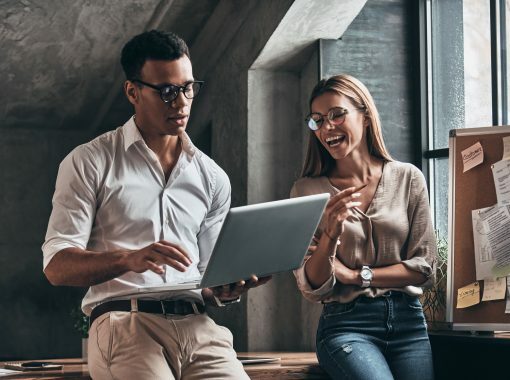 According to Content Marketing Institute, even with the increased focus marketers are giving to content marketing, most marketers still don’t know whether or not their efforts are successful. As with any business spending, in order to continue to have a budget for content marketing, it’s important for marketers to be able to measure content marketing ROI. What Is Content Marketing ROI? Return on investment (ROI) is a measurement that evaluates the gain from an investment compared to spend. As you’re likely well aware, this metric is used in many areas of business, as it’s directly tied to revenue measurement. 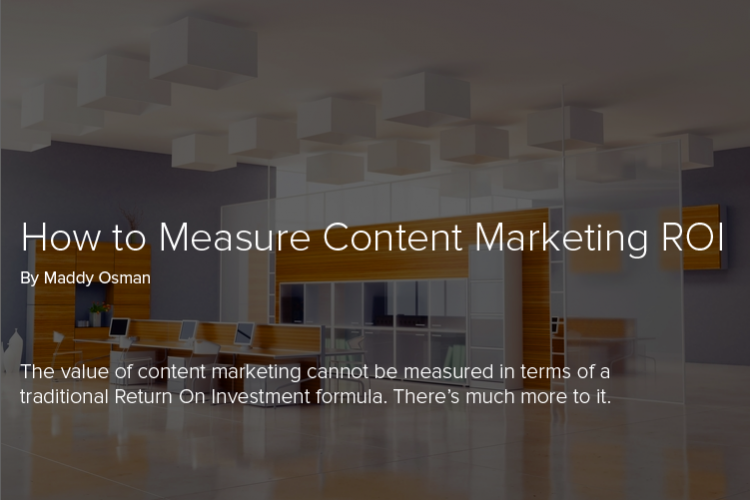 Specifically, measuring content marketing ROI does not always refer to pure monetary values. In order to get the most accurate representation of content marketing ROI, you have to consider a range of key performance indicators (KPIs). Is your content marketing hitting the mark or in need of improvement? The basic formula for ROI is: net profit / total investment x 100 = ROI percentage. In order to calculate content marketing ROI, it’s perhaps easiest to first tally up all the costs that went into creating a given piece of content—and it’s not quite as simple as calculating the fee charged to a freelance writer. Graphics, including any images or videos that were created or licensed for a fee. Audio, such as transcriptions to accompany a podcast episode. Marketing costs, including any related paid social/PPC efforts and your team’s time to execute promotions. Money spent and generated with regards to content marketing efforts doesn’t quite paint a complete picture when it comes to measuring ROI. That’s why it’s important to define your most important KPIs before hitting publish on any piece of content. One of the best tools for measuring content marketing ROI in terms of KPIs is through the use of Google Analytics. Or, if your company can afford the expense, Kissmetrics can provide more insights through a user-friendly interface. 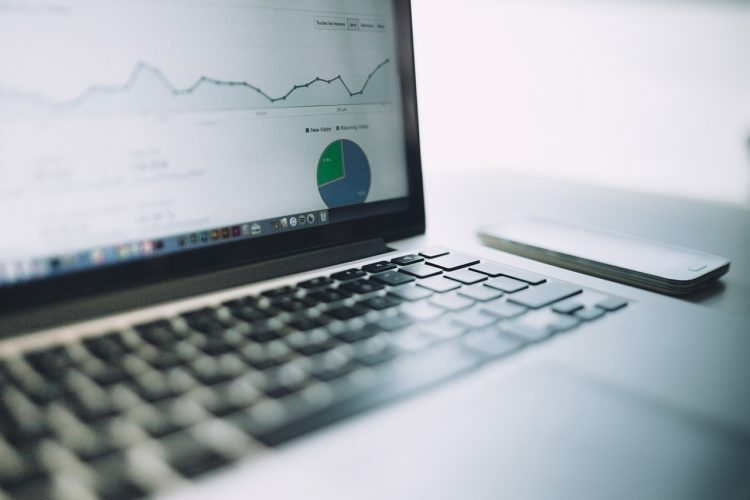 With the proper setup, you can also use Google Analytics to measure how much a piece of content adds monetary value to your business’s bottom line. To do this right, you need to define the flow of traffic from a piece of content to a desired conversion activity: whether this involves a new email signup, ebook download, webinar RSVP, or even a direct sale. Second, make sure to set up Advance Traffic Segments. This feature allows you to easily organize goal results by various traffic sources. To track your content marketing ROI performance over time, go to Conversions on your Google Analytics dashboard and apply your advanced segments from your goal data. Treating content marketing as a tactic for brand awareness, one of the most important KPIs is the content’s reach. You have to ask yourself, after posting a new piece of content on your website or social media, did it achieve the numbers that you were aiming for? You might also ask yourself, as the result of a new piece of content, are there any major changes in the behavior of your website visitors? Although most businesses aim to consistently publish new content, it’s important to measure metrics to gain insights from past efforts. Look through your analytics data to see which content pieces performed well (or not) in terms of these metrics and use insights gained to craft future content pieces optimized for high performance. After gaining an understanding of your consumption metrics, it’s important to measure how your website traffic to a given piece of content converts into a lead—or an outright sale! Tracking conversions involves a little setup work on the front-end, creating relevant goals in a software tool like Google Analytics (explained in the previous section). Once setup, you’ll be able to see, at a glance, how various pieces of content contribute to your most important conversion activities. In order to be able to effectively measure content marketing ROI, you need to also take this opportunity to define the lead-value price of each prospect. The lead-value price is your estimated value of each lead to your business. For example, assuming that your lead-value price is $10 per lead, and your total content production and marketing costs are $200 for a given piece, your content should generate at least 20 leads to cover your costs. On that note, anything in excess of the baseline cost is your potential ROI per piece of content. However, achieving an actual return will only happen if you successfully convert those leads into buyers. Measuring the value of content marketing is hard if you think of it in terms of a traditional ROI formula. 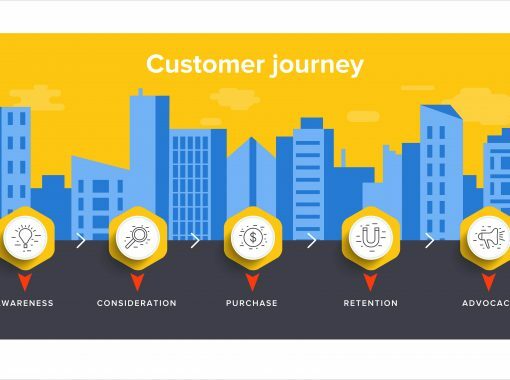 By tying in consumption metrics and lead generation considerations, you’ll have a better idea as to whether or not your content is achieving real business goals. Besides proving worth, using tools like Google Analytics can also show you which pieces of content are exceeding set goals—helping you to determine where future efforts are well spent. Learn more about her process and experience on her website, www.The-Blogsmith.com and read her latest articles on Twitter: @MaddyOsman. Maddy Osman creates engaging content with SEO best practices for marketing thought leaders and agencies that have their hands full with clients and projects.